It was a good day to get yard work finished or decorate the house with holiday lights. 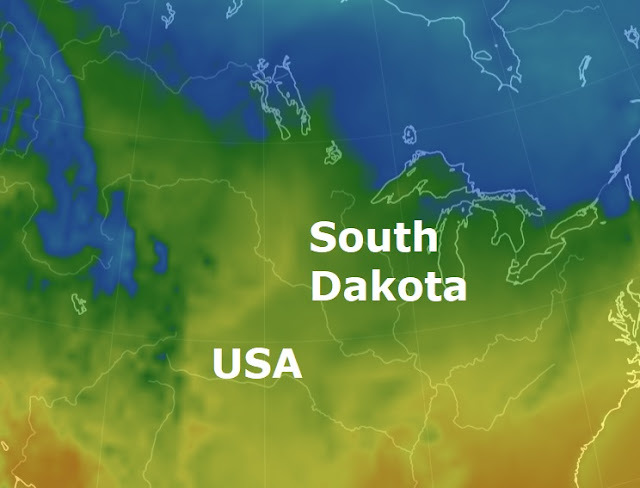 A record high of 72 degrees made for an unusually warm end to November, according to Brad Temeyer, a meteorologist with the National Weather Service in Sioux Falls. "November has been a bit above average, even with our cold start," Temeyer said. Monday's temperatures were 30 degrees higher than the typical average for the end of November. The normal average temperature in Mitchell for this time of year is 37 degrees. The previous record high temperature for November 27 was in 1998 when the reading was 67 degrees. The remainder of the week temperatures will continue to be higher than normal with highs in the 50s. Both dry conditions for the past several weeks and a lack of moisture in the air created unusually warm temperatures, according to the National Weather Service. September and October also recorded warmer than average temperatures, with highs in the 50s and 60s. According to Temeyer, because of the warm, dry conditions and gusty winds, there is potential for dangerous fire conditions. "If a wildfire or anything occurs it would spread quickly," Temeyer said. "It is advised to start any potential fires towards the end of the week when conditions will be more favourable." And while people should take advantage of the seasonably warm weather this week, Temeyer said December is predicted to have above normal levels of precipitation. "There is a chance for wetter conditions but we do not have a strong signal for average temperatures just yet," Temeyer said.